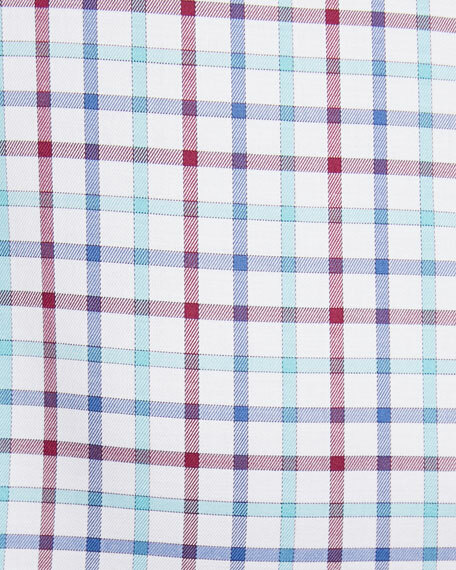 Peter Millar "Crown" sport shirt in soft square tattersall. 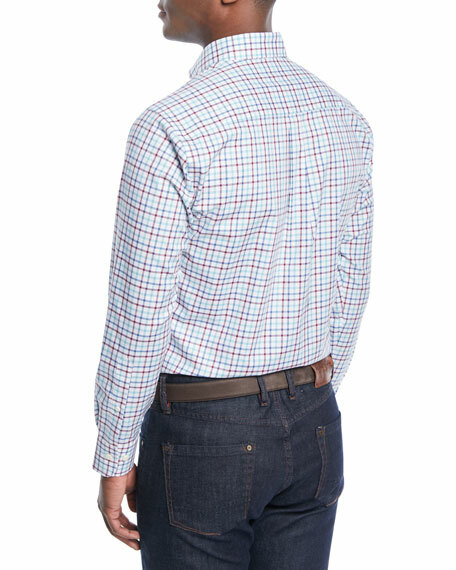 Model's measurements: Height, 6'2"/188cm, Suit 38R, Shirt 15.5x34, Waist 32"/81cm, Inseam 32"/81cm. 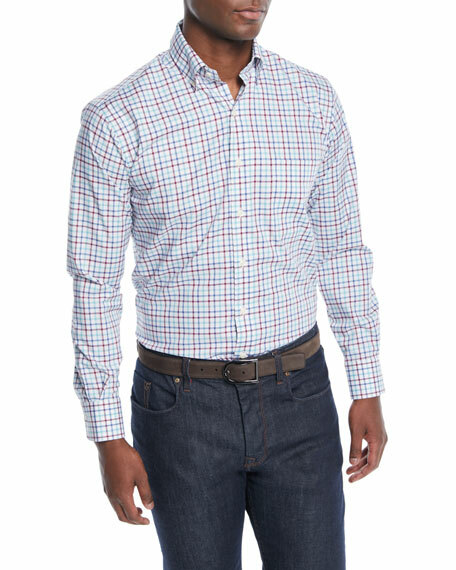 For in-store inquiries, use sku #2598183.